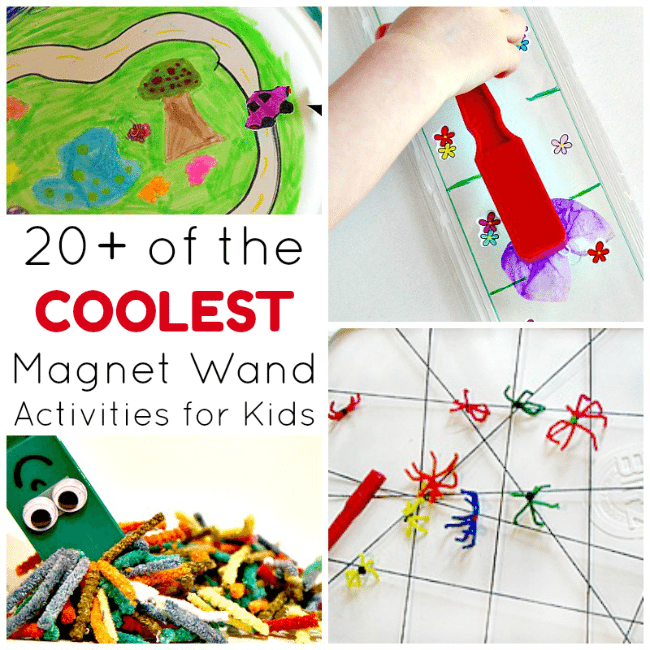 Magnets are super cool and super educational, so they make perfect tools for kids activities. 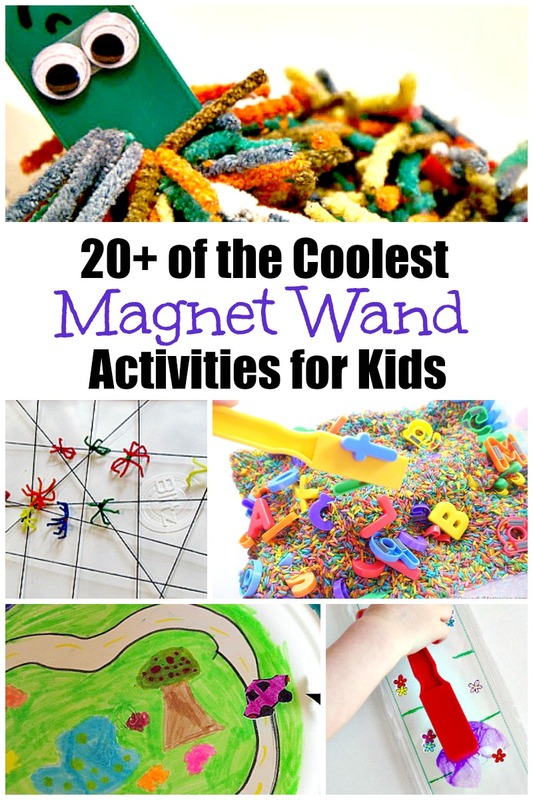 Today I am sharing a collection of magnet wand activities for exploring magnets for kids. I've added affiliate links to this post. We love playing with magnets at our house- in fact my parents always let me play with magnets as a kid and I think that is where my own fascination began. There's just something about that amazing invisible pull between two objects that never gets old. However there are safety concerns when playing with magnets- it's very dangerous for kids to swallow magnets. To explore the properties of magnets in a safe way, we use Magnet Wands. Am I missing your favorite Magnets for Kids Activities? Let's hear them in the comments below! Previous Post: « Guided Meditation on Love – Perfect for kids, adults, alone or together!